Thomas Manton considers why the gospel offer and exhortations come to all rather than just the elect. I think there is biblical wisdom in Manton’s approach. 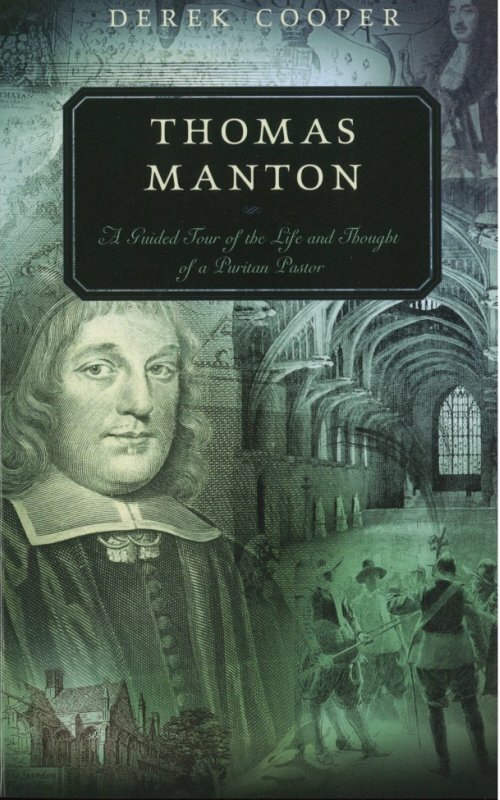 Enough of that though … the purpose of this post it to say that it is a pleasure to see a new work published on Manton: Thomas Manton: A Guided Tour of the Life and Thought of a Puritan Pastor. The book chronicles Manton’s life, studies in some depth aspects of his teaching on James (the subject of the author’s doctoral dissertation) and provides modernised versions of three of Manton’s sermons. This is a well written book that will hopefully introduce people to Manton, and encourage them to take up his writings. However, given the size of the book there are huge swathes of Manton’s thought that are not touched on (Manton’s position on “extreme unction” is covered but not his view of scripture or understanding of the atonement etc.) and a number of interesting historical points are not developed e.g. how did Manton’s appreciation for Richard Baxter influence his own later theology (if at all)? The field is therefore ripe for more studies on Manton and for many more publications on him. Of the marking of books, truly there is no end. The great business of the ministers of the gospel is to persuade men to reconciliation with God. These messengers [preachers] are under a charge to manage God’s message with all wisdom and faithfulness, and diligence, Mark xvi. 15,16, to preach the gospel to every creature, to rich and poor, learned and unlearned. And woe be to them if they be not diligent, warning every man, and teaching every man, that they may present every man perfect in Christ Jesus, Col i.28 … If we have respect to our Lord we must be diligent in offering peace to all that are willing to repent and believe … You know the temptations, prejudices, and hatred of those you have to do with; therefore pray them to be reconciled. Those who win souls are wise (Prov 11:30), may the Lord raise up preachers whose great desire is to be used by the Lord to turn many to righteousness (Dan 12:3). On a related note I’m beginning to settle on studying Manton in depth when I finish Durham. I think exploring Manton’s theology relative to the orthodoxy of Owen and the views of the proponents of Rigide Calvinisme in a Softer Dresse (Baxter, Howe etc) would be a worthwhile piece of work. Though the atonement is particular yet the offer of Christ is not limited but universal. We need to distinguish between the will of decree and the command. Once we have done this we are perfectly at liberty to use the language of God’s willingness to save sinners. This willingness, in the sense of will of command, is for Manton the foundation of the gospel offer. Note Manton’s universal understanding of 1 Tim 2:4. It is therefore inappropriate to speak of one “Calvinist” or “Augustinian” understanding of this verse, if by that is meant the text is limited by all “Calvinists” to the elect. We know God is serious “by his entreaties.” God “beseecheth you to take him.” Texts such as Ezek 33:11, 2 Cor 5:20 are in scripture “to show that he is sincere and in earnest with all men.” (3:334). “Because it suiteth more with his delight that you should take hold of these offers and not refuse them.” (3:334). Again the text cited is Ezek 33:11. Speaking of God’s “approbation or delight” he prefers that we accept than refuse the gospel offer. We know God is serious in offering Christ to us because he is angry when we refuse. If God was not serious in his offers how could he be angry when we refuse? Manton cites John 5:40 and Matt 23:37. (3:335). Such is a Puritan defence of God’s sincerity of the gospel offer!